The holiday season is here and with it comes those frigid wintertime temperatures. Get ready to receive all of your special guests by warming your home and your oven. As host, you want to prepare delicious and memorable dishes that will have everyone asking for the recipe. Your best ally this season, and throughout the year, are Avocados from Mexico. The variety of dishes you can make with avocados will impress you and your guests. Give these traditional Christmastime favorites an unexpected twist by adding avocados. 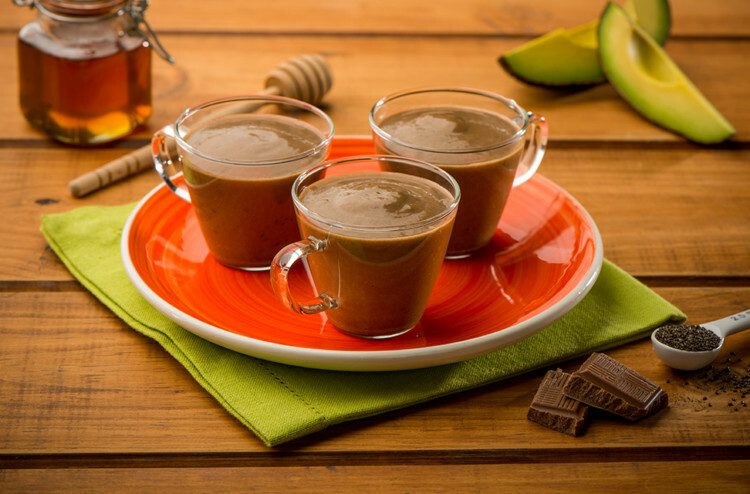 Cocoa and avocados make a perfect combination! The basic recipe requires 2 cups of milk, 1/3 cup of cocoa powder, and 1 Avocado from Mexico. Mix well and heat up to a desired temperature before serving. Top it off with whipped cream and cinnamon. For more details, click here. Accompany the Avocado hot cocoa than with some homemade scones. We guarantee there will not be a single crumb left on the tray. Preheat the oven to 375° F. Mix the dry ingredients in a bowl. Add the butter using your fingers to mix it until crumbly. Mix inthe avocado, apple, and buttermilk. Put the dough over a surface dusted with flour. Prepare a circle 10” wide and 1” high. Cut 6 to 8 triangles and place on a baking sheet. Use a brush to baste buttermilk on top of each scone. Once you are done with the brush, sprinkle some sugar. Bake for 22-25 minutes. Both of these dishes are sure to bring your holiday visitors warmth on the cold nights this season.